In 2016 I got a call from wife's cousin who told me he was cleaning out house of wife's aunt after her death and he had found a rifle in the attic and that no one on wife's side of family wanted it so he offered it to me. He didn't know what it was or anything about it so not being one to look a gift rifle in the muzzle we got in the car right away and drove to town. I walked in and saw it laying on the living room carpet and knew it was old a hundred years ago but what struck me as how nice a condition the stock was in. 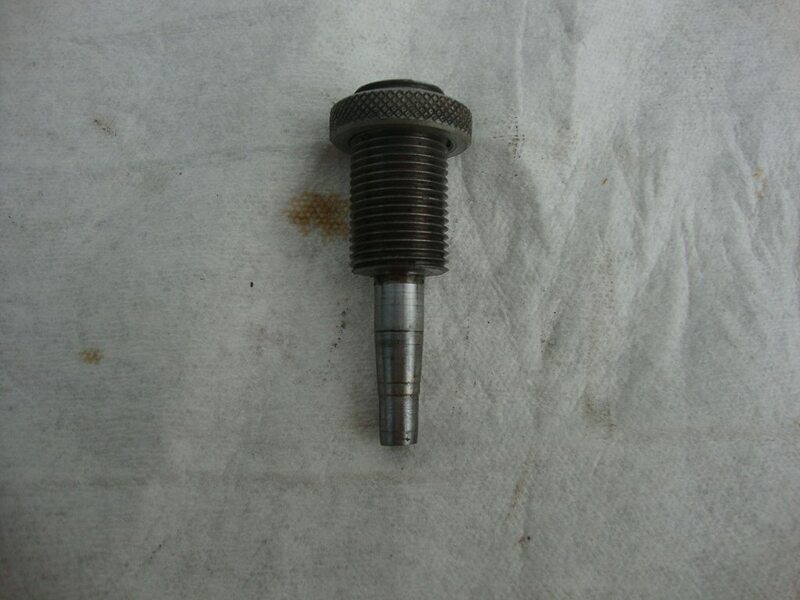 I picked it up and opened the bolt to see if it was loaded and when I closed the bolt it seared off. Closer examination revealed some good ole boy had attempted to do a trigger job on it and took way too much off bottom of striker surface. If you very gently closed the bolt it would sear up but a couple ounces on the trigger and it seared off. I brought it home and looked down the barrel and it really looked dark. 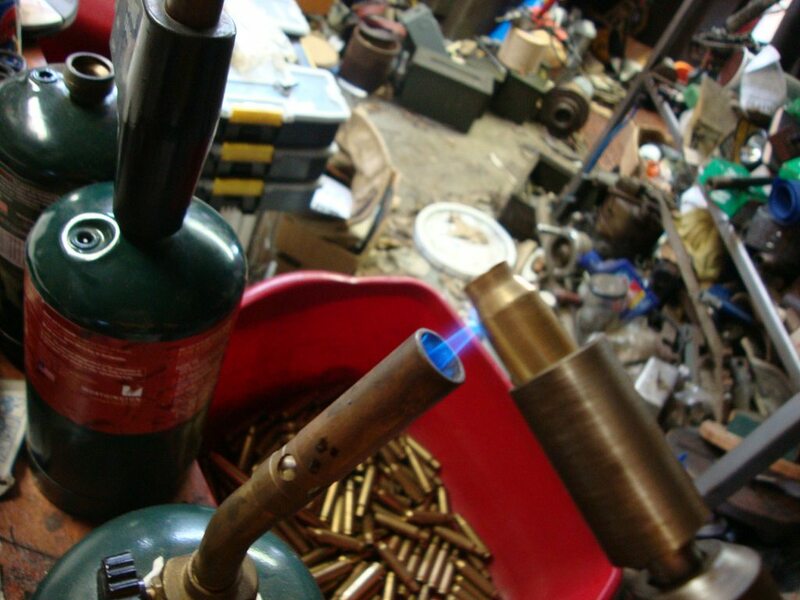 I took a cast 45 cal bullet and tapped it into the muzzle to get a seal and set it up with muzzle in a jar and filled the bore with Ed's Red Bore Cleaner ( 1/3rd Mercon Dexron Transmission Fluid , 1/3 K1 Kerosene and 1/3 mineral spirits. I have also used off road diesel when I could not find K1. I left it muzzle with bore flooded to back of chamber for two weeks to work on what I thought sure to be rust. What got me was I could not get the bolt out and it took about two weeks to find a you tube on it's bolt removal which requires three different screw drivers and a vice with padded jaws to disassemble it. 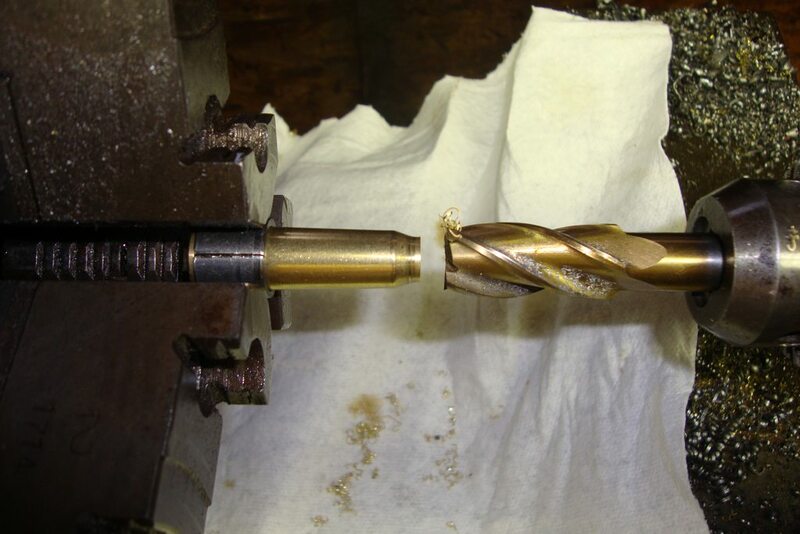 Drained the bore and got the bolt out and bore still looked to be a basket case so I started working on it with a 44 cal bore brush and to my surprise bore got to looking very good fast as the gunk came out. Furthur research indicated the ammo loaded for 41 Swiss had exposed grease grooves so every time rifle fired it left grease in the barrel. Finally I got some very fine polishing cloth and made half a dozen passes on it and it was really looking good now and I knew I had something that would fly again. 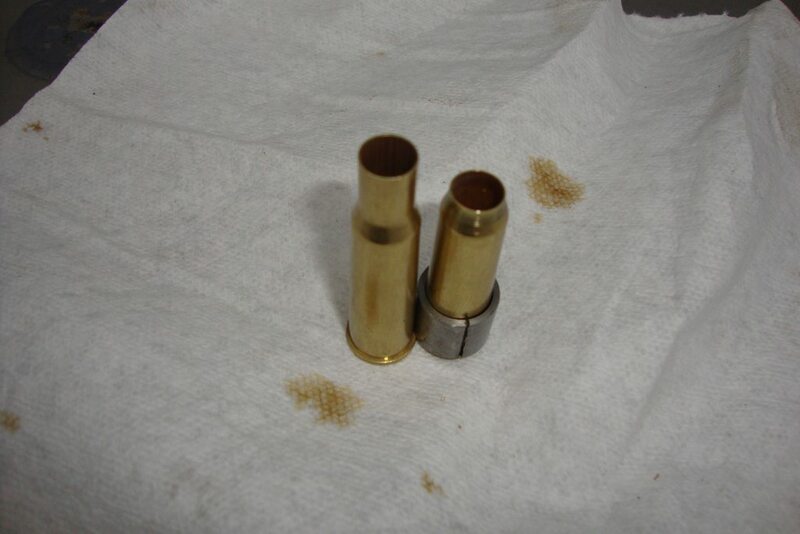 Did the research and found out cases can be fabricated from 348 Winchester brass or 8X50 French and I figured the 348 brass would take to being opened to 429 better than the 8MM stretching that far so I order 348 brass by Jamison. I ordered 41 Swiss dies by Lee and by measuring etc I figured out ammo could be loaded with them for that rifle by backing the dies up off the shell holder. I made a custom expander on my lathe and opened the cases right up and trimmed them back to 47MM with the above tool. Note: About six to eight seconds should take shoulder and neck to a light blue. You do not want dark blue or to turn the case RED as you have just ruined your case for long life. I fabricated a collar in order to grip case to turn it in lathe as rim precludes chucking up in lathe. Annealing case neck with propane torch needs to be done before running them in dies for final sizing to 10.4X47 as the shoulders are HARD. Note: The inner blue sharp flame is directed below the shoulder. What can't be seen is case is in a holder held in a electric drill turning about 30 to 45 rpms. When you get the light blue just point the drill downwards and case falls onto a towel for cooling. DO NOT DROP INTO WATER ! ! ! ! ! ! Both cases trimmed to length, case on right is how it comes out of the die, case on left is how case looks after it is fired formed. It was a little tricky as these cases did not want to go into chamber and when I pulled it out it appeared rust was in the chamber which I confirmed with a bore scope so I polished the chamber to remove the rust and the case base fits perfectly. The bore was measured and the grooves are right on .429 so I loaded five rounds up with Sierra 180 gr. 44 Mag bullets in and went out and fired three of them with a sandbag over action and last two from shoulder and then the ship hit the sand. I was diagnosed with heart problems and had four cardiac procedures starting off with attempted stints and ended up with triple bypass surgery Oct 2, 17 and that put everything on hold till Saturday past and I pulled out all my stuff and started loading with 2400 powder and 240 grain Sierra 44 Mag JHP handgun bullets. Started with 13 grains and increased it .4 or .6 every shot and got up to 20 grains with no problems. This is her, note 1X1X1.400 high aluminum block on muzzle. Close up of block. I added a pin to top with a set screw as I knew the front sight was set for 275 meter battle sight so everything shot closer was going to be way high. My plan now is to fab a steel block and once I figure out load and front sight height I am going to mount a M14 front sight on it. With the in front sight I will be able to target it at 100 yards and figure out best load then fab the block close to the correct height. The reason I chose M14 sight is it is adjustable for windage where the sights on the Vetterli are not and it is wider and easier to see. Next session will consist of 256 grain flat nose cast bullet for 44 Mag to see how it shoots. The plan is I want it to shoot POA/POI at 100 to maybe 125 yards. After that it is strictly down hill. I might try it at longer range for kicks but right now it would be good for hunting in this area. Last edited by Hummer on Tue Aug 14, 2018 6:13 am, edited 2 times in total. Excellent post! I am a big fan of this caliber and the 10.4 caliber Vetterlis! 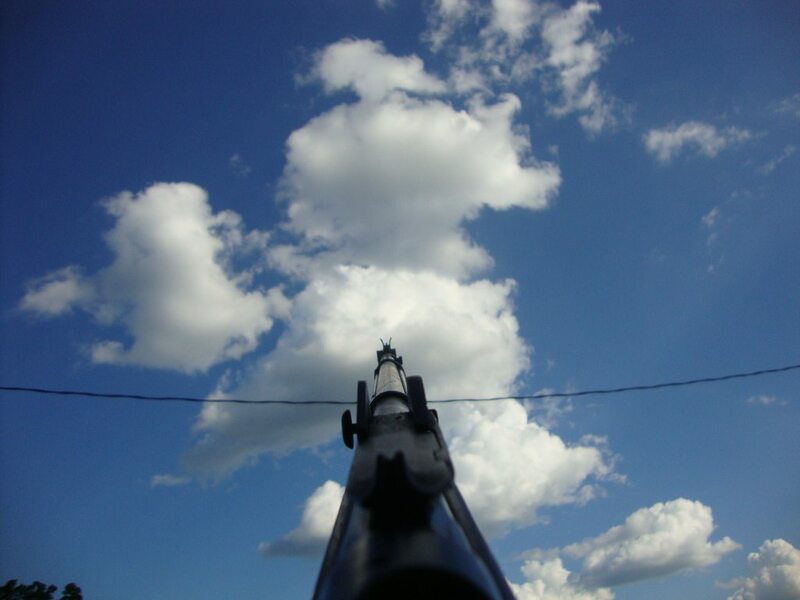 The round and rifle are capable of surprising accuracy. I got my best groups using a 310 grain hollow base bullet and a powder no longer made - Hodgdon's Pyrodex P.
I've since switched to AA 5744 powder. It can leave granular residue, but it's versatile and I use it in several calibers. I like your lathe setup, too! Always wanted one but couldn't justify the expense. Just got this in from a top ammo collector I used to work with. The workmanship on the ammo is very interesting. I apologize for the quality of the picture but I had to photograph the screen to put it on Imgur and never got the grainy stuff before. If anyone wants a good quality photograph PM me your email address and I will send it directly to you. I just happen to have some AA5744, how much do you put under your 310 bullets? Might try it on the 256 gr cast bullets as well. 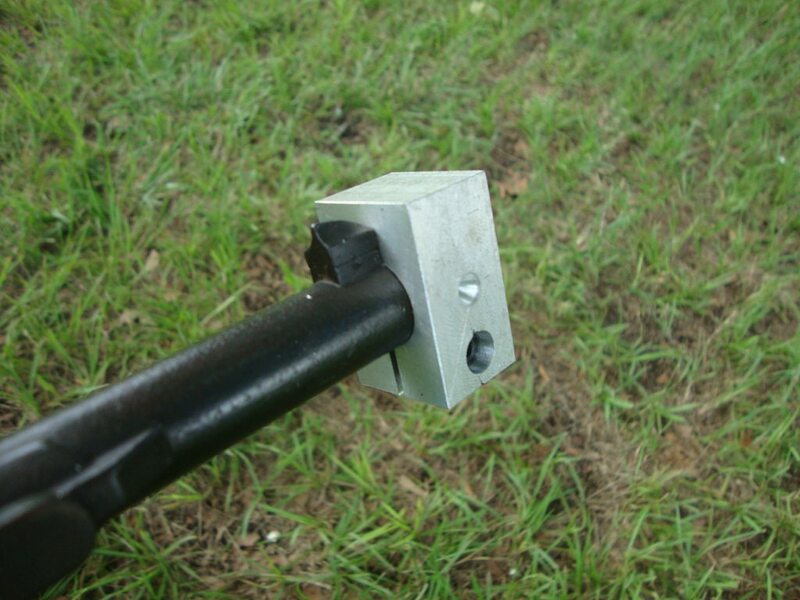 Have you been able to determine the muzzle velocity the original ammo gave? These came out about 75 years before chronographs. I will be working on Catsneeze loads for it as well. I've used from 22.0 grains to 25.0 with good accuracy results. I use it in most of the BPCR calibers I have. Wound up in ER yesterday morning, was out cutting around my reloading building and cleaning up briars that had grown up and was standing knee deep in briars and got hit in the ankle by something. Backed up and looked and did not see anything. About 30 seconds later I started get dizzy and felt like I was being pricked by 10,000 needles all over, vision went totally blurry and all I could see was blue, yellow, green and red fog in front of me. I made it in house, wife gave me allergy pill and called Doc, talked to his nurse as he was off and when she heard the symptoms she told me to go to ER immediately. Long story short I got bit by a spider (unknown) through an athletic stock and they gave me a shot and a pill and a prescription to take for ten days and take it easy for a couple days so today I went out and fired the mill up and took down the aluminum block on front for a look see and figured kind of where I needed to be so picked up the steel block already bored for barrel and took it down and mounted the M14 front sight I had just received. Centered it up by eyeball and started loading up the 257 gr. Lyman Cast bullets I got a mold for a while back. I started loading with 13 gr. 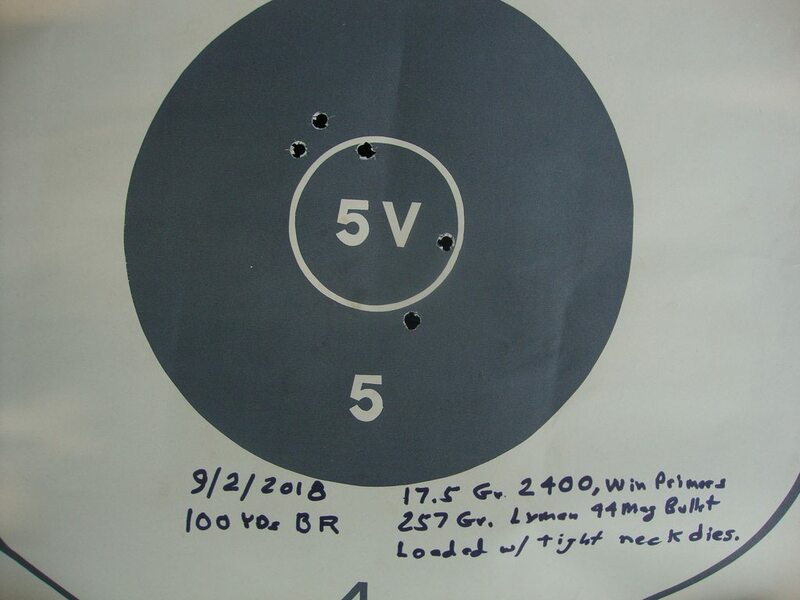 2400 and worked up a grain at a time and at 18 and 19 grains the rounds were sonic and I was grouping about 3 1/2 inches low at 50 yards off the bench. Looked like rain coming in so I pulled target out to 100 yard line and tomorrow will start shooting it at 100 yards to see where it hits. If I can get it into 3" at 100 I will be happy and if so I will see where it hits and if low I will file down top of front sight. That hopefully will have it zeroed for POA/POI at 100 yards which for the shots I would have around here at coyotes etc will be OK. The good news is bite is red and not a open wound as I was told they have to be got on quick as it could have been a Brown Recluse and if they hit you and you let it get going you could lose a leg. Doc told me to expect more pain last night but no swelling and just sore all around. This morning looked good as it does not 12 hours later. So hopefully it won't go south on me. More updates and pics of front sight conversion block to follow. 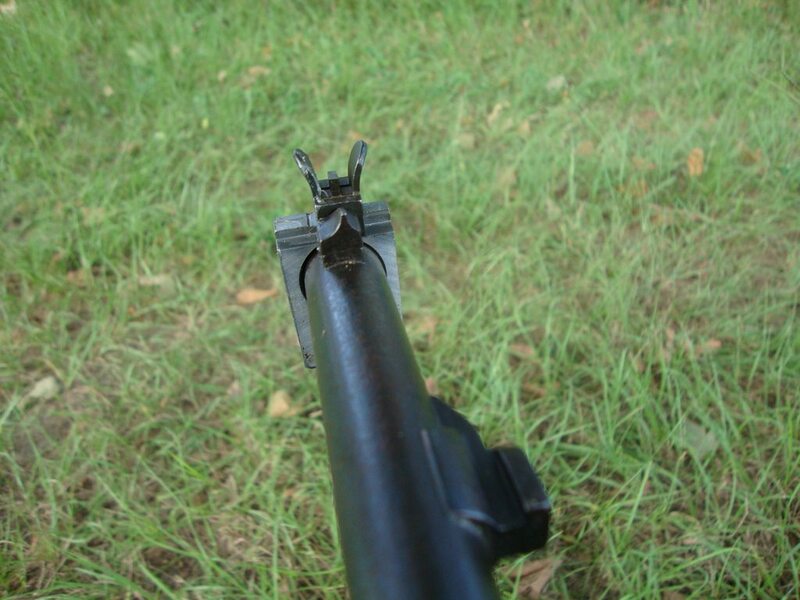 The M14 front sight gives a much better sight picture than the Vetterli original. Rear sight is kind of blurry but front sight looks good, then the muzzle is like 40 inches from my eye. haha. Once I get it set for POA/POI I will pull rear sight up to 400 Meters (next notch up) and hopefully will have be on at 200 yards or there abouts. I definitely don't want carry it around with rear sight up like that because a drop could warp the rear sight downwards and ruin it. 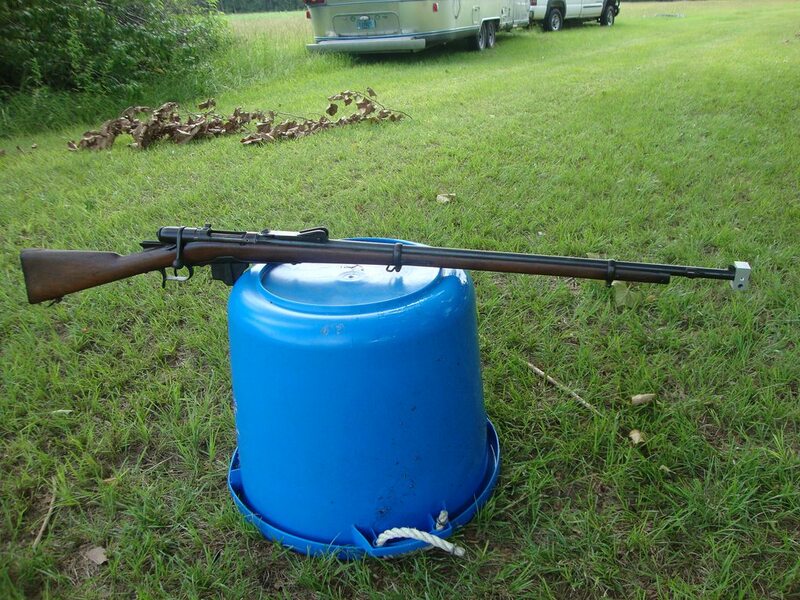 Not bad for a 135 year old rifle. Good news and good news your spidey bite was addressed promptly! Yeah I was telling my Doc about it the following when on my normal check up and he was impressed with my description of what happened. He was surprised as he was expecting to see a swollen mess which is the normal for spider bites. A friend told me that in the series of shots for SE Asia (70s)there was one that was supposed to help with insect bites and he figures that is why I did not get a even bigger reaction as the Doc at ER definitely said it was going to get a lot worse before it got better and was never swolen ?????? I have since talked to folks that have been bit by spiders and heard some real horror stories. Went out today and took down the front sight block to absolute min and had to really cut down M14 sight. It is now zeroed at 100 yards for POA/POI with a 17.5 gr load of 2400 under a Lyman 257 gr 44 Mag cast bullet. Much nicer sight picture than factory. Note the factory front sight is visibly off center and I set this one a tad left of the factory sight which shows no signs of modifications. Soon as I can get a bottle of cold blue I will touch it all up. Nebrhogger, that was a good idea and a neat job to boot. 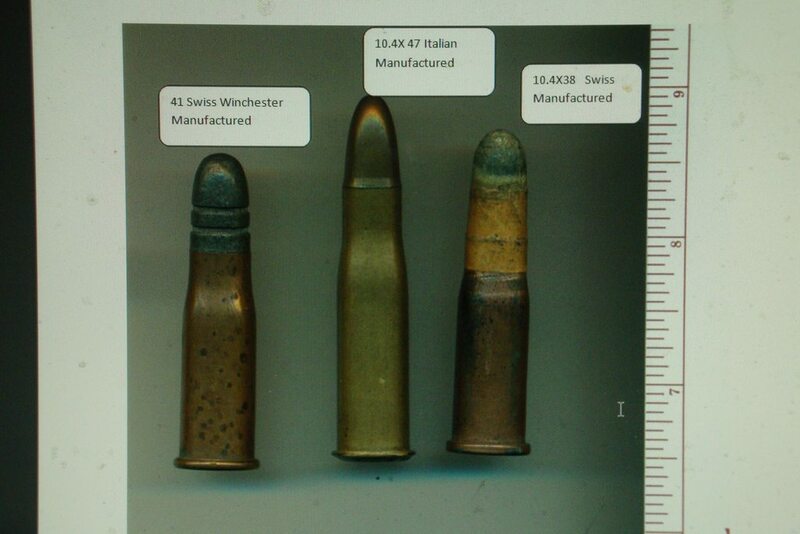 A buddy has a buddy in Italy who shoots these and I was forwarded an email where he complained about the bullets wanting to drop into the case because the dies would not size down enough and I experienced that a few times so yesterday I went to shop at 0700 and knocked off about 2:00 for a ballgame and fabricated some equipment that will really improve the quality of the ammo I am making. I had an idea of taking a 41 Mag Lee trim die and opening on bottom enough to make a neck sizer out of it so ordered one but it won't be here till next week. I was digging around my odd dies and found a Herters 30-40 Krag die and it hit me so measured the opening in bottom and only a couple thou too large. Had totally forgot I had it. At any rate I got out my ball gage and figured out that if I cut off the bottom of the 30-40 die bout 3/8" it would size the Vetterli cases exactly like I wanted. I cut it off and reshaped the entry radius and it sizes beautifully. Best part is I can still use the die as a neck size die for my Krag if I want. Made new new expander mandrell in the process. First I turned new mandrell .431" all the way, then I left about .075" of that surface and took the remainder down to about .426". Thus when the neck is expanded right at the end of the stroke the .431 is contacted and barely opens the neck. No big long taper like the industry puts on their expanders. There is of course a little spring back as base of bullet will just fit snugly. This allows me to place the base of the bullet just inside the neck where it sits there nice and straight so when the bullet contacts the guide area of the seater it goes in nice and straight where before I lost a case because bullet tilted before it got to where it needs to be. So I have a .003" grip on the bearing surface of the bullet all the way to the base and I can see on the outside of the case neck right where the bullet stops. I had no less than 10 bullets fall into case while seat and these were a problem. The guy in Italy was getting the same thing. Now the expander was completed as I have a couple Lyman M1 and M2 expanders I have never used so I removed the factory expander and made my own as a replacement. Next I removed the floating bullet guide and noted it was machined to a POINT ! ! ! !! I went in with a precision boring cutter and removed about 75% of the ogive so the skirt of the guide contacted bullet way down. I left just a tad of ogive to contact area just below the flat nose of the bullet. Finally I turned the end of the guide flat so I had a flat bullet tip contacting a flat bullet guide and I made a new top plug and the bullet guide now fits closely it it can't tilt like it came from the manufacturer. I realized at some point the cases were going to need to be FL sized and I found a set of 348 Win dies on ebay for 19.75 delivered and they are inbound. I will take the FL die and cut off the top section to where there is maybe 3/8" of neck left, then go in with a boring bar and open the neck up to 44 cal size. The seat die may be able to be converted to a seater for the Vetterli but for right now it will go in the spare die parts collection. Have already determined I am going to need a big compartmented box to hold all the Vetterli associated tooling I have but its worth it to make sure bullets don't fall into the cases ! ! ! ! ! Hopefully she will be appreciative of my efforts and reward me with some good groups. I also found a CH expander body in my spare parts that I made into a 35 cal expander so when I go to seat cast bullets in my 358 SHTF rifle no lead will get shaved in the seating. Well guess I will get my shorts on and take the mountain bike out for maybe 9 miles this morning. More later. Last edited by Hummer on Tue Sep 11, 2018 12:57 am, edited 1 time in total. Went out and shot 10 rounds today and what a difference a tight bullet makes. Prior to this it was kind of like shooting a big pellet gun but today the report and the recoil was just like it should be. The second target was shot with ammo loaded on the reworked dies and that was even a difference and gave me a better group. I came in and annealed those cases to get them ready for the next round. Even more interesting is I am not getting any lead on patches when I clean it afterwards. Sat down with ball gages, inside/outside mic and caliper and finally decided there might just be a better way. 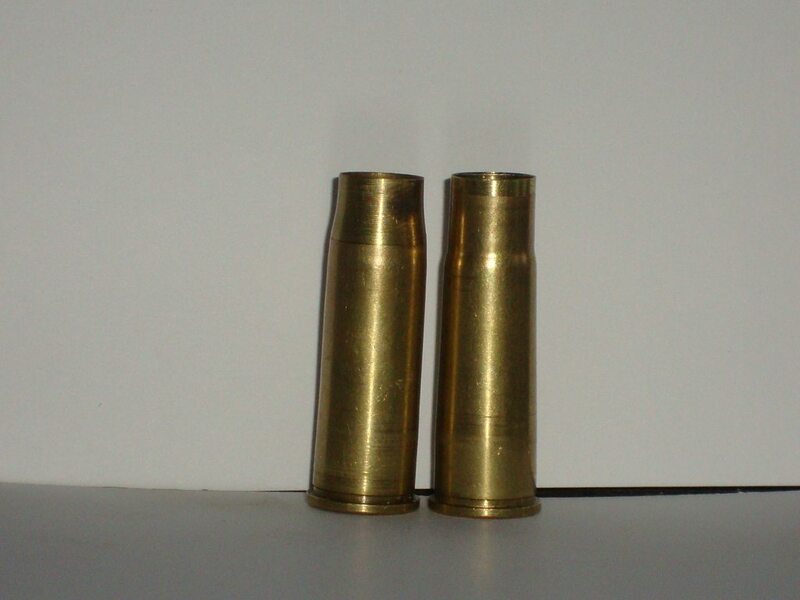 My 41 Swiss dies just won't take the cases that have been fireformed as the brass gets much thicker just below shoulder. I got to looking at 348 dies that came in and ran a case up into them and to my surprise they reduced the area below the shoulder down enough to where it would go in the Swiss dies and size as I originally made them. Only had to size about the front half of the case ! ! ! ! This opens up a whole new ballgame ! ! ! ! I am stress relieving the cases after every firing now as I want to keep the shoulder/neck area in a relaxed condition so the shoulders will hopefully last a long time. I have some cases I have loaded at least ten times. Primer pockets are still nice and tight. I can't locate my metronome timer so I ordered two more on ebay from Australia. It was like 7 bucks for two of them. I am going to try some 5744 and some 4198 next with the 257 gr cast. I am hoping to get her in to the 3 to 4" group size. Tried a sheet of toilet paper in them and group really opened up. Might try half a sheet. It was interesting as the bore almost looked iike it did not need cleaning haha. The greased patches proved otherwise. Have you ever cleaned with grease? When I was shooting BP sub I put a veggie wad over the powder but that was about all I tried that way. Otherwise I use SAECO NRA formula lube on my bullets & that's it. Neberhogger, if you can come up on a can of GAA (Grease Automotive and Artillery) let me know. 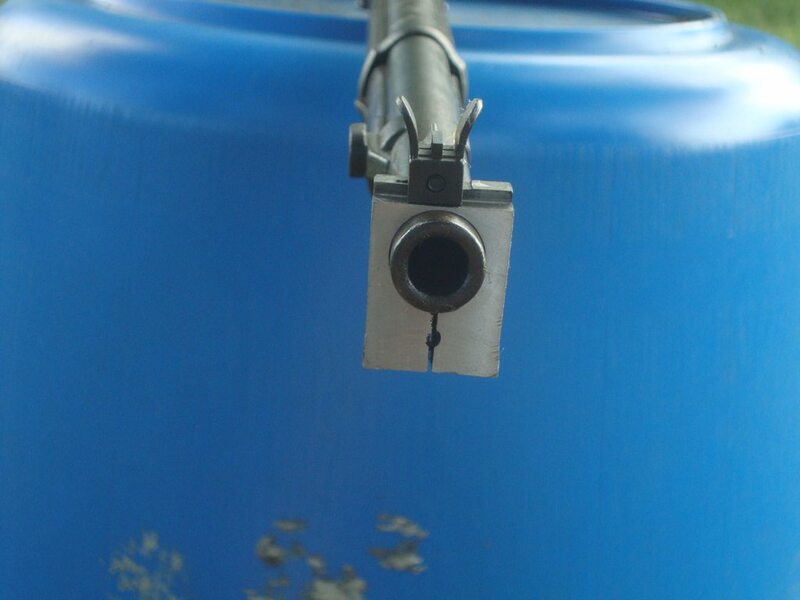 It is a military grease and marvelous for cleaning barrels. The Swiss Army has cleaned their barrels since late 1800s with grease and I have been doing it last 8 years. If you get any GAA let me know and I will tell you how it is used. Also you can use WTR (Grease Aircraft-Wide Temperature Range). The Commercial equivalent of WTR is Aeroshell 33. Both of the come in 1 lb to 5 gal buckets.